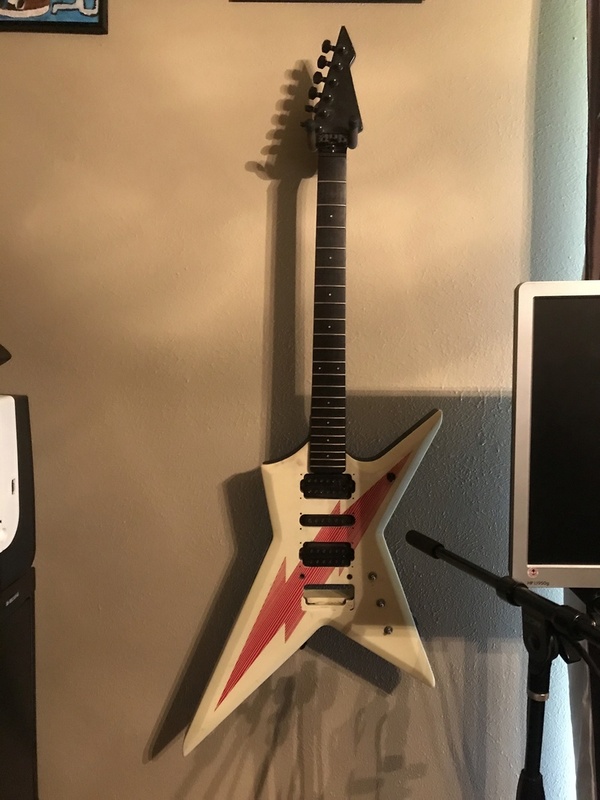 I’m currently working on my D4: removing spay paint from last owner and installing a Gotoh bridge per Chad’s excellent post. I would like to get some opinions on what to do about the nut/string locks. Of course the behind the nut locks are missing the bolts and plates. I’m looking to replace the locks and/or the nut. The Floyd locknut looks too wide for the nut slot and the angle of the headstock, plus the strut rod’s location. Are there any locking nut options that would work? I read on here that the Kahler behind the nut lock works as a replacement. I am also considering changing out the tuners and using locking tuners instead of the string locks, but I have read mixed opinions on how well the locking tuners work as a string lock replacement. What is the best option? I appreciate any insight y’all can give. .... you say your guitar is missing the bolts and nuts for the stringlock, yes? Our very own Sgt Vimes may still have some for sale if you PM him! If you still have the base, then you should be OK - the plates and bolts are relatively easy to come by, even if you have to make them! 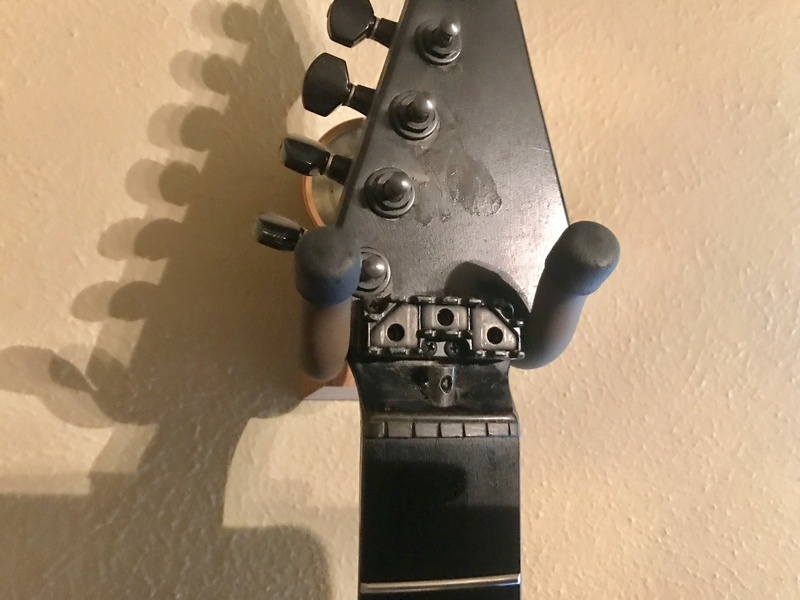 Locking tuners do not replace a locking nut. It's the word 'locking' That is all that's in common with them. A Kahler locking nut will not fit on your guitar if yours has/had a FT type string lock. Though a Kahler or another type can be fitted with a metal/wooden spacer. The FT type is taller than most. A photo of what you have would help. Corsair, I’ve thought about machining/acquiring new plates, but read on here that it’s a pot metal base and the threads wear out....My idea is: If i’m refinishing the guitar, now is the time to replace it if possible. The FT locking nut bolt threads only strip from heavy handed folks overtightning especially on the E A bolt. In normal use they're fine. It's an easy fix anyway if they are stripped either with a helicoil insert or you can set a couple of nuts in from the bottom. Mate, the job's a good 'un... the base is there and Sgt Vimes has a few plates left hopefully! As Damian said, the threads strip only if the bolts are overtightened on a regular basis, and are easily fixed should that happen; I've done a couple with gear bought from the internet for pennies! Well it sounds like the consensus is replace the lock plates and keep it simple. Thank you both for your help! These are unpainted silver (repro parts) so I would suggest either painting them black or using them underneath the base plates you already have.